The South Shore Science Festival has grown since the first time it took place in 2015. From an initial registration of about 350 that year, it’s grown close to 1,000 this year. 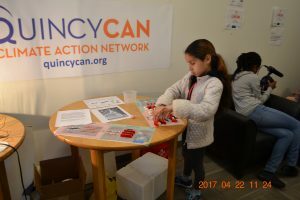 Organized by a few members of the Quincy Center for Innovation, it has offered a wide range of opportunities for children to encounter science, technology, engineering, (arts) and math in a fun setting. You know it as STEM, or STEAM. The participation of companies, subject matter experts, and distinguished students in Quincy and the South Shore have made this event a success. Recently it has been financially sponsored by Gateway to Science: Sports and Games and Positive Business Consulting Services; to continue to grow we need your help! 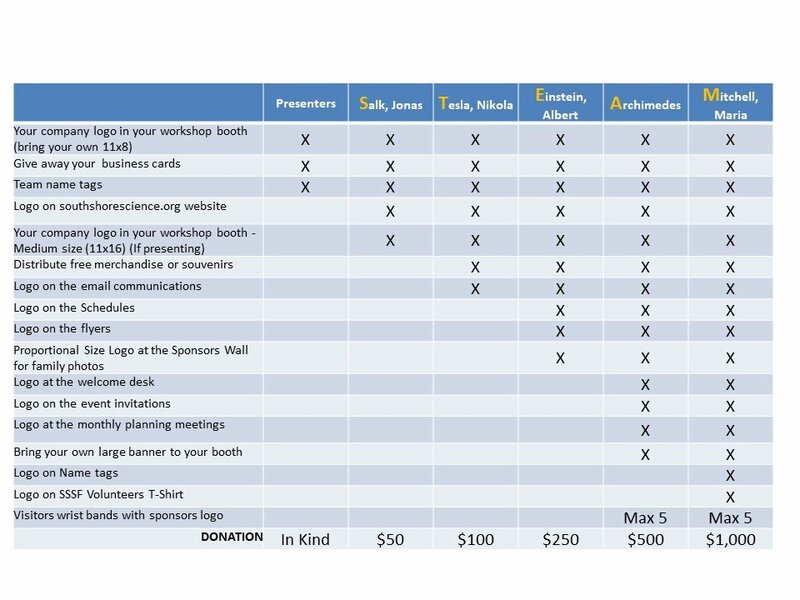 The most important benefits from your contribution are, first, helping the children of Quincy and the South Shore to increase their awareness of STEAM and, second, inspiring them to continue along these lines once they leave the festival. Your encouragement could help redirect a child’s mindset and open their eyes – this child’s future could be quite different from what they’d imagined. And that is a priceless gift! There are various ways to sponsor. Jonas Salk was born October 28, 1914, in New York City. In 1942 at the University of Michigan School of Public Health he became part of a group that was working to develop a vaccine against the flu. In 1947 he became head of the Virus Research Lab at the University of Pittsburgh. At Pittsburgh he began research on polio. On April 12, 1955, the vaccine was released for use in the United States. He established the Salk Institute for Biological Studies in 1963. Salk died in 1995. Nikola Tesla (July 10, 1856 to January 7, 1943) was an engineer known for designing the alternating-current (AC) electric system, which is still the predominant electrical system used across the world today. He also created the “Tesla coil,” which is still used in radio technology. Born in what is now Croatia, Tesla came to the United States in 1884 and briefly worked with Thomas Edison before the two parted ways. He sold several patent rights, including those to his AC machinery, to George Westinghouse. Albert Einstein (March 14, 1879 to April 18, 1955) was a German mathematician and physicist who developed the special and general theories of relativity. In 1921, he won the Nobel Prize for physics for his explanation of the photoelectric effect. In the following decade, he immigrated to the U.S. after being targeted by the Nazis. His work also had a major impact on the development of atomic energy. In his later years, Einstein focused on unified field theory. With his passion for inquiry, Einstein is generally considered the most influential physicist of the 20th century. Maria Mitchell, (born August 1, 1818, Nantucket, Massachusetts, U.S.—died June 28, 1889, Lynn, Massachusetts), first professional woman astronomer in the United States. Mitchell was educated in schools on her native Nantucket, Massachusetts, including the one conducted by her father. Her interest in astronomy was stimulated by her father, who let her assist in his work of rating chronometers for the Nantucket whaling fleet and who encouraged her independent use of his telescope. From 1836 to 1856 she worked as a librarian in the Nantucket Atheneum during the day (often acting as an informal teacher) and became a regular observer of the skies at night.